Easy to use website and mobile app. 2% Fee for Credit Card deposits under £100. 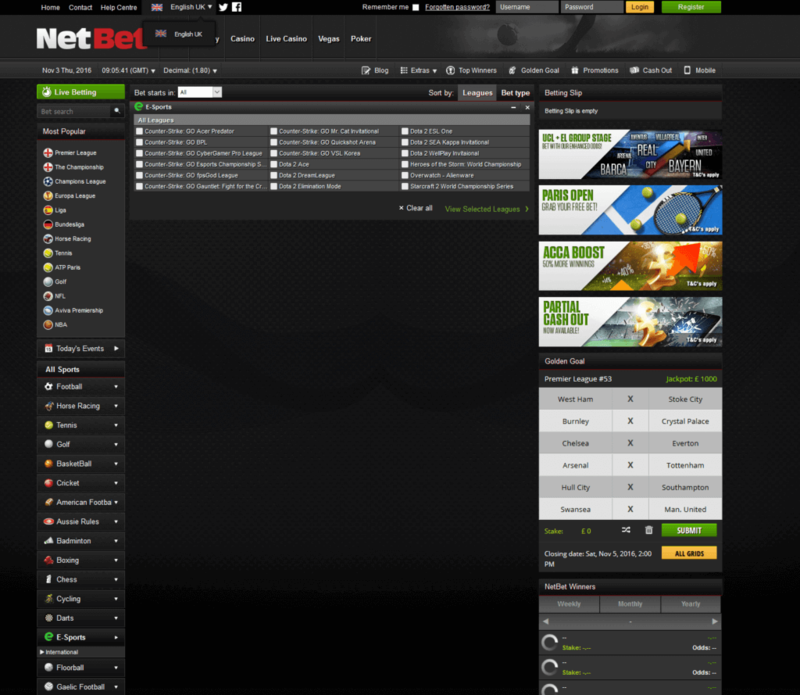 NetBet, previously known as Bet770, is a sportsbook that was founded in 2001 and has been enjoying a great reputation ever since. NetBet was established in 2001 and is licensed in Malta since 2006. They are a regulated and secure site part of Cosmo Gaming Limited. Not only do they offer an online casino, a Sportsbook and online poker site in the iPoker network, they also offer other platforms like NetBet Las Vegas Games and a Live Dealer section where players can enjoy traditional casino games from the comfort of their own surroundings with the added bonus of being able to interact with a live dealer during a game. 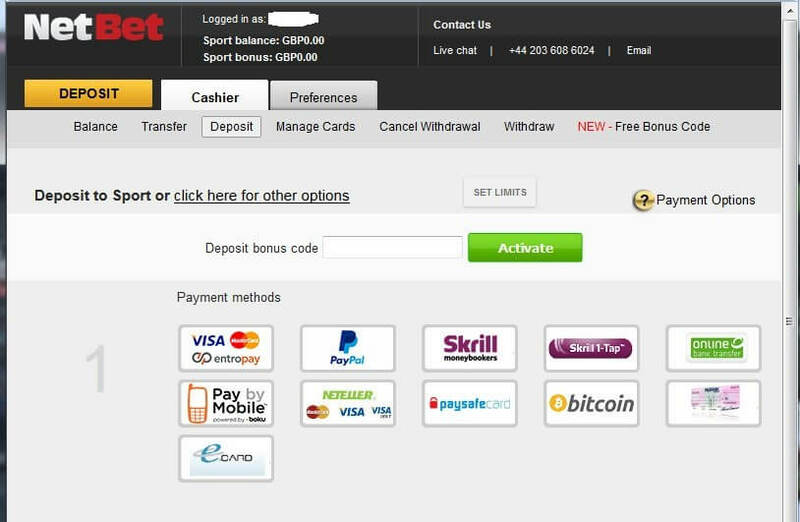 NetBet offers new customers a 50% First Deposit Bonus up to £50. To claim this exclusive bonus you have to use the bonus code WELCOME50. Deposit at least £100 into your account to receive the maximum First Deposit Bonus amount. Don’t forget to deposit during the following 24 hours after using the bonus code. Afterwards, the bonus code is disabled. Our following step-by-step guide will show you how to easily set up your account within a few minutes and benefit from our fantastic £50 First Deposit Bonus. 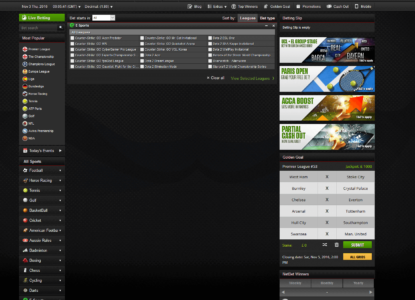 Please make sure to use our NetBet sign-up link to start the free registration process. You will now be redirected to their homepage, where you just need to click the ‘Register’ button in the top right corner. Make sure to use the code “WELCOME50” in this step to become eligible for our £50 First Deposit Bonus and all other benefits. 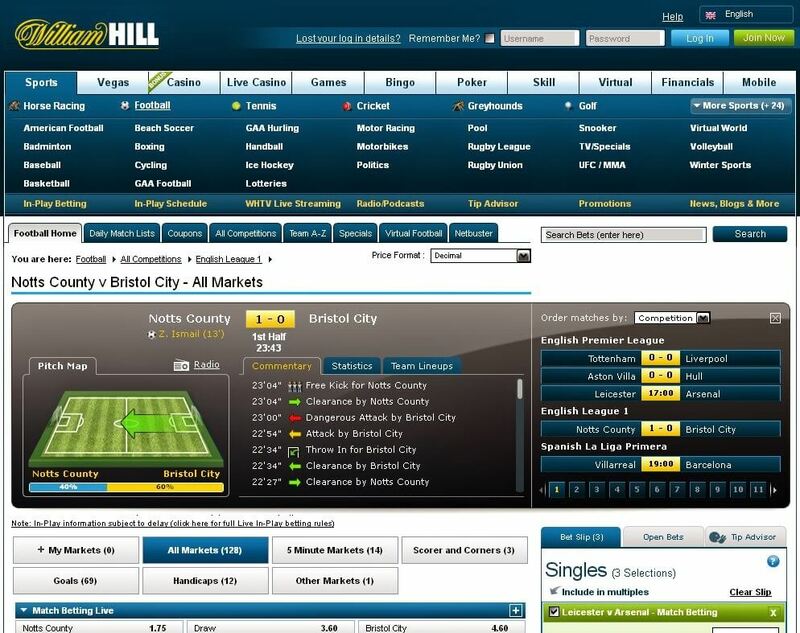 Their betting products speak for themselves as they are offering a wide range of sports. Beginning with the most common sports like football, basketball and ice hockey they also offer the more niche markets including table tennis and Aussie Rules. Special bets can be found as well from time to time. 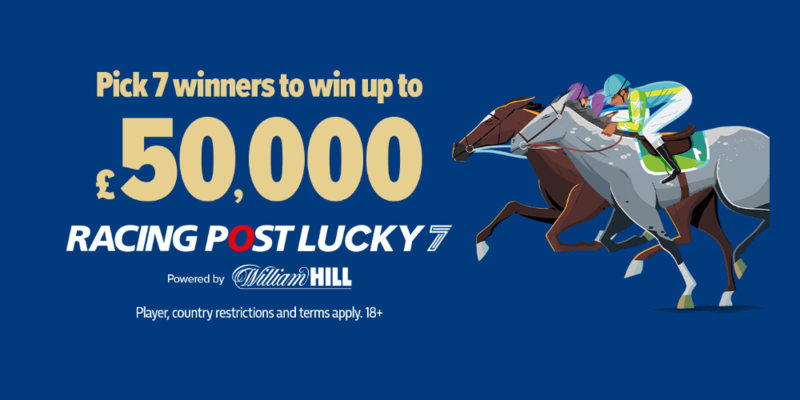 They have done a great job of providing a well-rounded bookie that punters can enjoy using, especially combined with a our great £50 first deposit bonus. 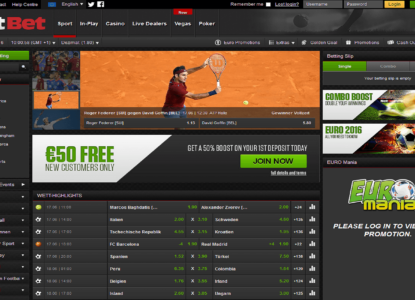 NetBet offers a large number of sports, and the market depth for each is sufficient for a great betting experience. Compared to other big sportsbook the odds are not market leading, but still high and in a very competitive range. 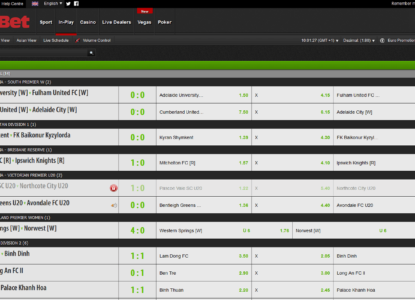 NetBet has a good coverage for live betting. They cannot compete with the biggest player on the market, but you will still find the most important events to enjoy the full live-betting experience. They also have a very user friendly website, which makes it easy to navigate through all sections and markets to find the perfect event for you. 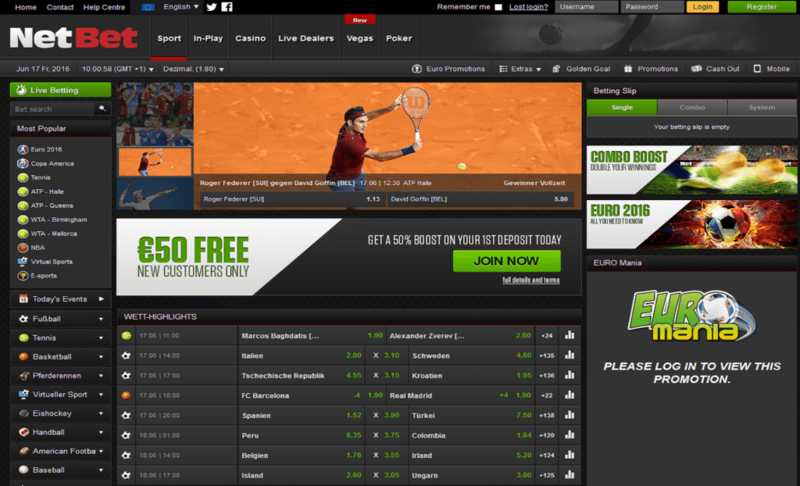 Unfortunately, NetBet does not offer any live streaming on their site yet. We expect some changes in the future, but in the meantime you can check our Sports Live Streaming section, where you will find the best live streaming sportsbooks and some more information about live streaming in general. 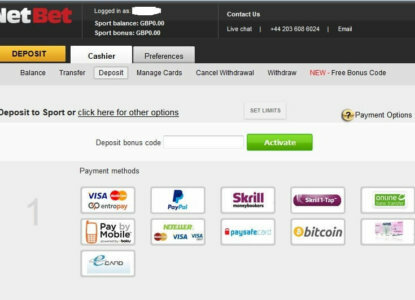 NetBet offers a lot of payment options, so that every customer will find a way to easily deposit into their sportsbook accounts. The following table gives you a quick overview about the most important payment options and their fees and limits. 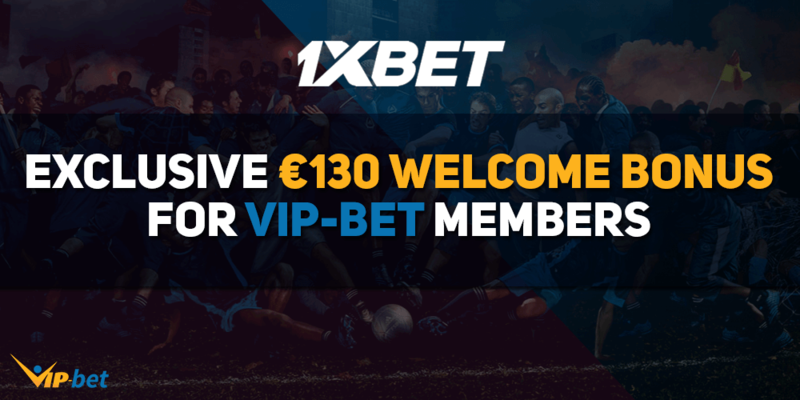 NetBet has not as many promotions as the biggest sportsbooks, but their is still some nice value and you should make sure to not miss it. Check our overview on a regular basis to find all running promotions and get the chance to increase your winning with some additional cash. First Goalscorer Refund up to £25 – Have you lost count of how many times your First Goalscorer selection scores the second goal of the game? This season they have you covered on all televised Premier League matches should your First Goalscorer selection score the second goal of the match. Get a refund up to £5. Money Back Acca Insurance – Place a football accumulator of six teams or more and if only one team lets you down, they are going to refund your stake as a free bet. Get your Acca boost today – Increase your earning potential by playing NetBets’ Acca Boost offer. They will cover you for the following sports: Football, Tennis, Basketball, Ice Hockey and Baseball! So be sure to place your Acca with them today. 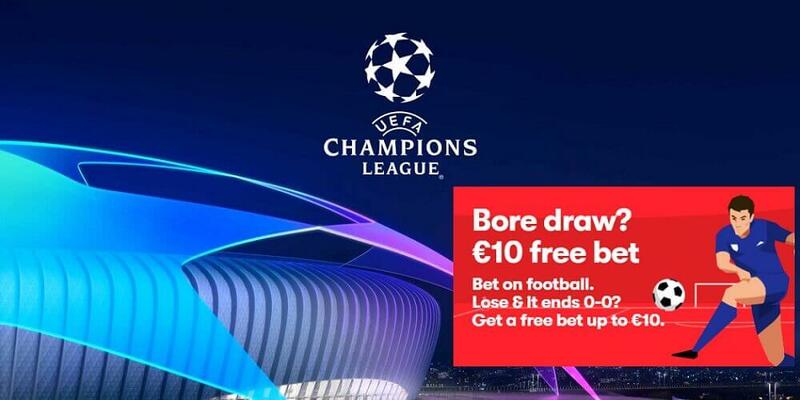 Go mobile and get £10 free for your first bet – NetBet will match your first qualifying mobile bet with a bonus of up to £10 or currency equivalent. Sports betting is NetBet’s main focus. They provide their customers with a big selection of different sports and offer an excellent deposit bonus for sports bettors. The website is accessible in many European languages and features the latest public and private encryption methods in order to keep the customers’ data safe. The company has branches in France, Italy, Israel, Romania and England and is currently employing approximately 500 people. NetBet has a proud tradition of sponsoring sports teams, especially European football teams. The company’s reputation across Europe has been of great benefit in this regard. They currently sponsors West Bromwich Albion, St. Etienne and Steaua Bucharest. 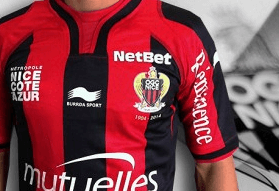 In addition to this, they are also a major partner with Ajaccio. Aside from football, they also sponsors German Handball team VFL Gummersbach. These sponsorship deals signify not only NetBet’s proud standing in the industry, but also a wider range of sporting interests with a focus on niche sports as well. The 2014 World Cup was a defining moment for the company as they launched the “Brazilian Million” campaign. Players could win £1 million during the World Cup. Since the website was launched, they continued to grow and now boasts thousands of registered players. 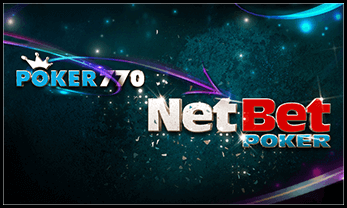 In September 2014, the online poker platform Poker770 has been migrated to NetBet in order to strengthen the company’s services. Through the migration of both poker services over two million players have been brought together. The rebranded poker room will stay on the iPoker network, operated by PlayTech, allowing the players to compete against players from other iPoker skins such as Bet365, Betfair and William Hill. Licenses: Malta Gaming Authority (MGA). Head Office: Cosmo Gaming Company Limited, 209, Marina street, Pieta PTA 9041, Malta. With NetBet’s mobile app you can enjoy the same great experience when you’re out and about. Simply use your existing account to log in. With their mobile app you can bet anytime and anywhere with your Android and Apple devices. Enjoy weekly promotions, special mobile deals and never miss a moment with push notifications. You will also earn a £10 free bet for your first bet made with your mobile device. To download the Android app just click the following button and follow the instructions on the NetBet Mobile website. Please note, you will also find several other sources where you can download the android app, but we would highly recommend to not use apps from an unknown source and only use the app from the original app from their homepage. Odds Format: EU, American, fractional odds. 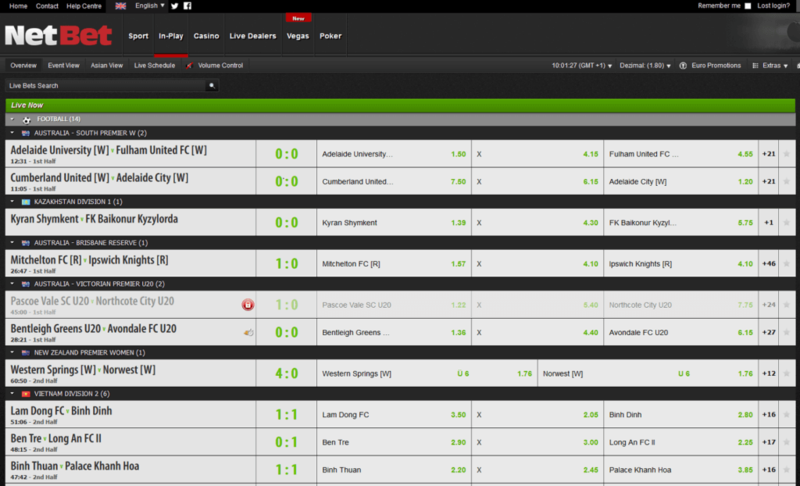 Live Betting: Available, featuring a big selection of sports. Sports & Leagues: 28 different sports, wide coverage of the big European football leagues, eSports such as LoL (League of Legends) or CS:GO (Counter-Strike). 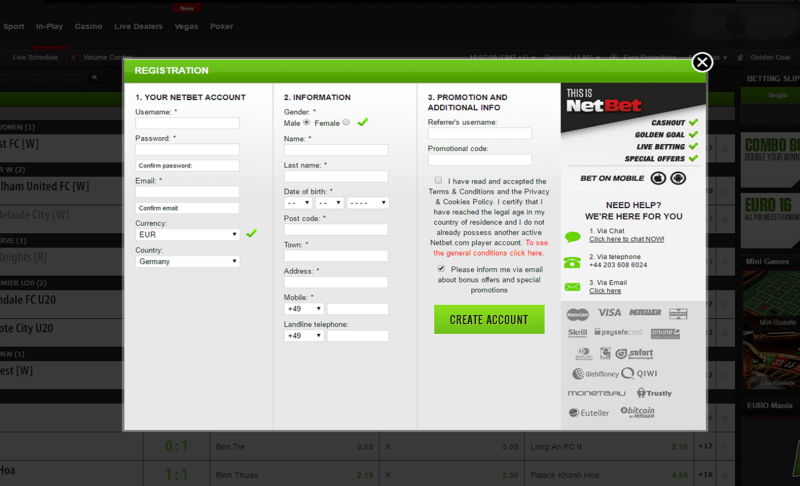 NetBet is worldwide available, but there are still a few regions from where customers are not allowed to open an account. Check the following overview to see all regions where you are not allowed (orange) to open a NetBet account and all regions where you are allowed (blue).